The CRT display used in an HUD needs to be very, very bright. The image loses its intensity as it traverses through collimators and other optical devices, and it needs to be visible even in daylight conditions. To achieve this, HUD displays used in real aircraft employ specialized CRTs with very high accelerating voltages (10-20kV). Adding in the resilience requirements demanded of aircraft equipment, these displays go for tens of thousands of dollars, and are not easily available on the retail market. Maintenance is also prohibitive. Ultra-bright thin display technology may well replace the CRT in the near future (if not already), but such displays may be even more expensive for hobbyists to procure. My customer needed a lower-cost, easily maintainable alternative. He had read my 3″ VGA Display article, and noted that I love to eke every spare lumen out of my CRTs. Would an Oscilloclock display be bright enough? Possibly – so I took up the challenge! The customer was building his own control board, that would generate the symbology using vector graphics (as opposed to a raster-scanned image like in the VGA display). This was great news – a typical vector image will easily appear brighter than a raster image, since the beam is turned on nearly 100% of the time. So what was needed was a standard Oscilloclock X-Y Display, optimized for deflection bandwidth and brightness. Digital blanking (Z axis) would be required as well, just in case his controller could not move the beam rapidly enough between segments to avoid a visible trace. With brightness being such a key requirement, a PDA (post-deflection acceleration) CRT seemed the ideal choice. However, new-old-stock PDA CRTs are not exactly plentiful on the market, and one goal of this project was to reduce maintenance costs associated with CRT replacement. The customer wondered if the more ubiquitous non-PDA type 3RP1A might be bright enough? The 3RP1A was a great choice, and I optimized the assembly for that CRT. 3KP1(F) – an alternative to 3RP1A? I got to thinking again about maintenance. The customer might operate his simulator for hours each day. He will set the intensity quite high. The vector graphics symbology might be fairly static on the screen. These usage factors will naturally and unavoidably lead to either the dreaded SCREEN BURN-IN, or at least CRT BURN-OUT! What if the customer had a stable supply of used CRTs that were so cheap that he would be happy to (literally) burn through them? Oscilloclock labs had just the thing! I regularly procure used 3KP1(F) CRTs in great condition. 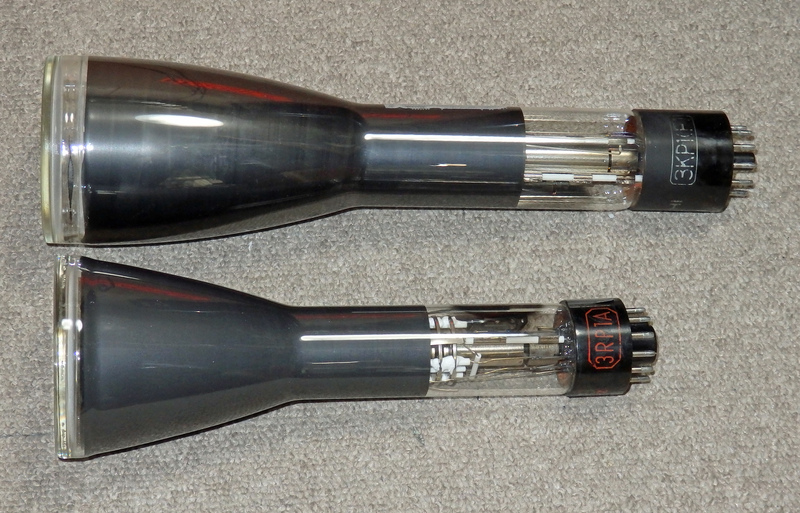 Electrical characteristics are similar enough to the 3RP1A. Size is not. But what about performance? Below is a qualitative look at a 3KP1(F) against a 3RP1 (I didn’t have a flat-faced 3RP1A in the lab at the time). At the macro scale, the difference isn’t hugely obvious. At this scale, the 3RP1 does appear more performant. I configured the board to support both 3RP1A and 3KP1(F). 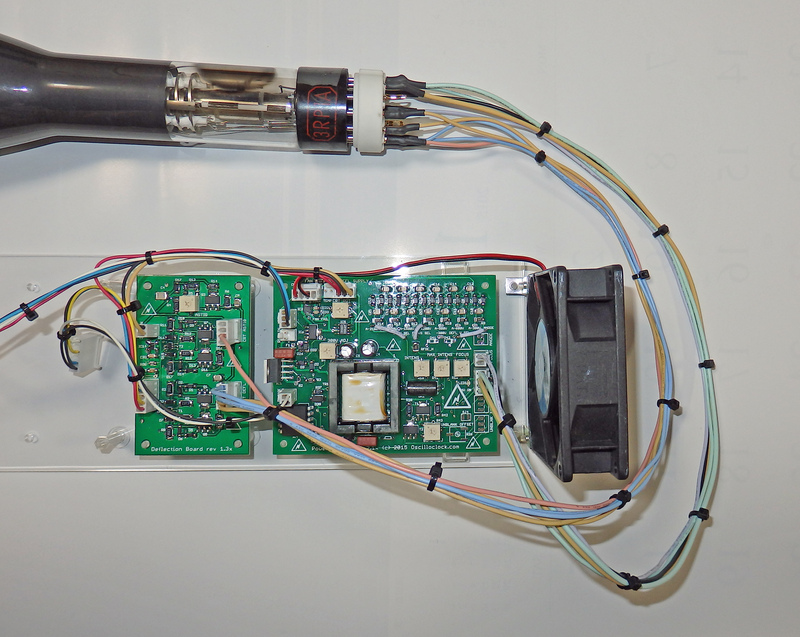 The battle will be won when the customer tests both tubes in the actual installation. Stay tuned! Raster graphics is mediocre. Vector graphics is good. But Circle Graphics is simply stunning! Could I reprogram the Oscilloclock Controller Board to interface to a flight sim API, and display HUD imagery and symbology in silky curved figures? I could! I would! Well, okay, I might… a project for another rainy day. Imagine your HUD with these silky smooth characters! Are you building an HUD and need a 3″ display? Are you interested in a Circle Graphics based HUD controller? Or are you looking for a nice standalone X-Y(-Z) display for your fancy new thing-a-me-bob? Contact me – and perhaps Oscilloclock.com will take up yet another challenge! 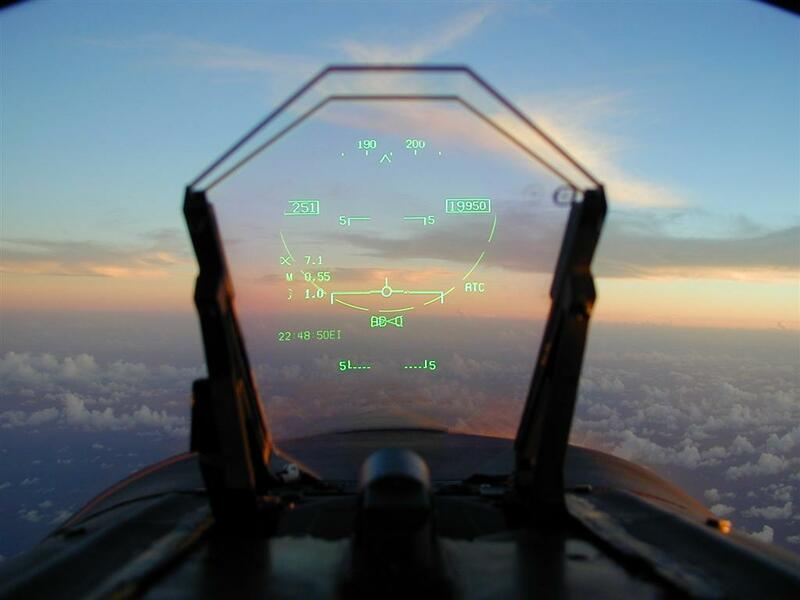 This entry was posted in Hardware, Showcase and tagged Aviation instrumentation, Blanking, CRT, flight simulator, Head-up Display, HUD, Vector graphics, Vector monitor, X-Y display, フライトシミュレーター, ブラウン管, ヘッドアップディスプレイ, ベクタースキャン by Aaron. Bookmark the permalink.